POSTED: Fri, 01/08/2016 - 20:00 | POSTED BY: Traci C.
The State of the Sport forum took place at Disney's Contemporary Resort and featured a panel discussion with race directors and execs including Peter Ciaccia (TCS New York City Marathon), Tom Grilk (B.A. A. Boston Marathon), Tad Hayano (Tokyo Marathon), Hugh Brasher (Virgin Money London Marathon), Carey Pinkowski (Bank of America Chicago Marathon) and Juergen Lock (BMW Berlin Marathon). Other speakers that were billed for the event included Running USA CEO Rich Harshbarger, B.A.A Boston Marathon race director David McGillivray, and Maribeth Bisienere, senior vice president of Disney Springs and ESPN Wide World of Sports. Four-time Olympic distance runner Paula Radcliffe and runDisney training consultant Jeff Galloway were also scheduled to speak. 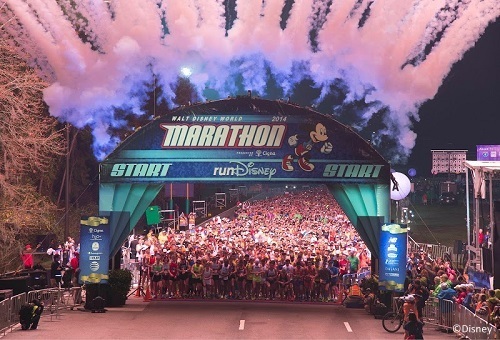 The forum marks the beginning of runDisney's new Race Director Series which is meant to give race directors from around the country behind-the-scenes experience with runDisney events. There is also a Race Director Challenge competition planned during the Half Marathon. Next year the Walt Disney World Resort will host the 2017 Running USA Industry Conference during the Disney Princess Half Marathon Weekend. Are you participating in any of the Walt Disney World Marathon Weekend events this year? Let us know in the comments.